LigerBots Blog - LigerBots Win Bay State Brawl! LigerBots Win Bay State Brawl! It’s been a winning week for the LigerBots! 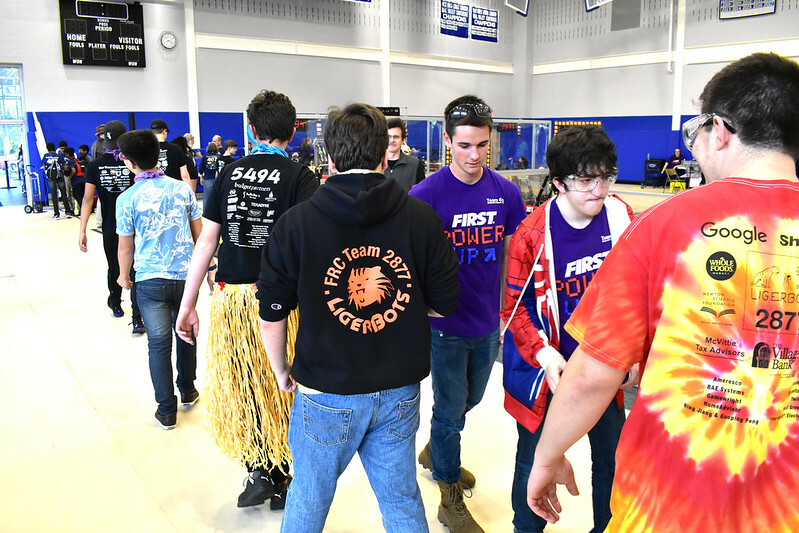 Seventeen LigerBots trekked out bright and early last Saturday to Whitinsville, MA for the Bay State Brawl, our second off-season competition of the fall. This was another chance for our rookies to drive the robot, and they did great! 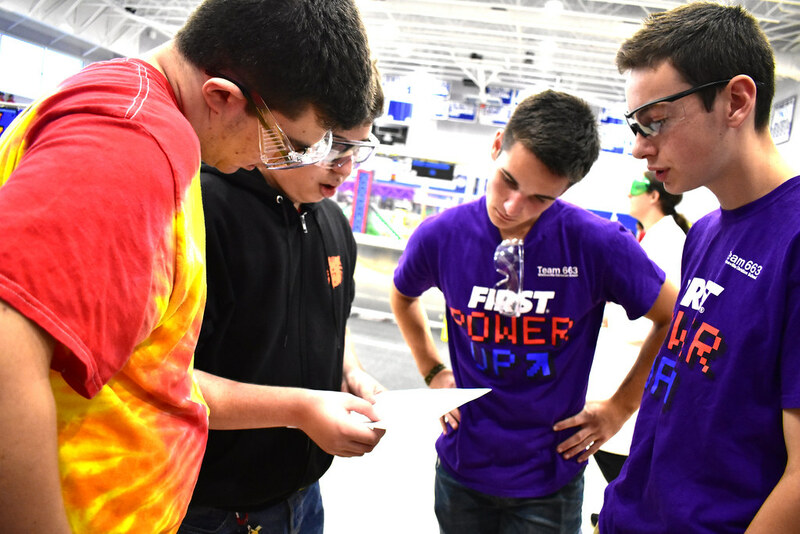 We went into the playoffs in fifth place, and were the first pick of first-alliance captain team 3555, Aluminati. Our other partner was team 5494, Bizarbots. Our alliance ultimately won the competition! These offseason competitions have been an opportunity for our new team members to get a taste of the competition environment: the field, the pit, the time pressure and the need for game strategy. 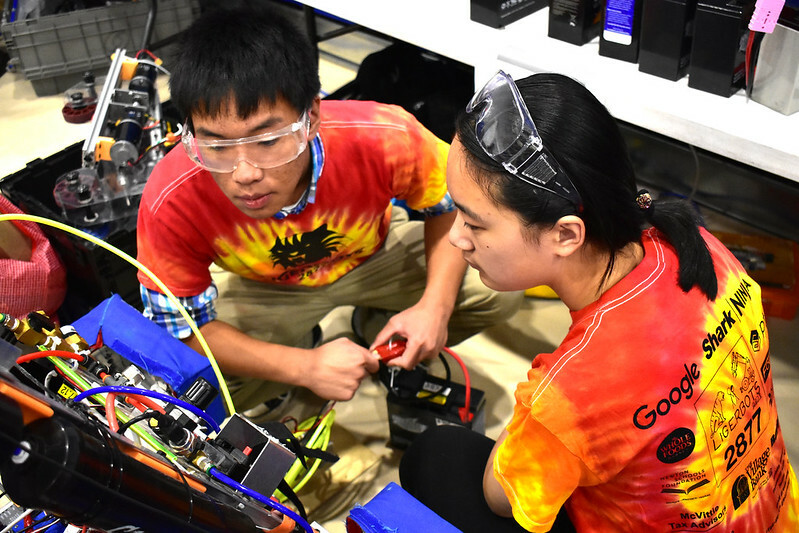 The competitions also have provided first-hand experience with the FIRST values of “gracious professionalism” and “coopertition.” They allow our entire team to become better prepared for the rigorous build and competition season ahead. In addition to the weekend competition, we’ve continued to run our newly-expanded preseason training. We have an especially busy training schedule this year since we have the largest rookie class in our team’s history. And, with this year’s addition of a strategy council, a graphic design team, student photographers and a writing staff, our training has become even more well-rounded, diverse and dynamic. Our graphic design team has been working on flyers and signs that explain the principles behind STEM activities we often take to outreach events: brushbots, electrically conductive and insulating doughs, paper airplane construction and 3D printing. A number of our team members are learning to research, write, edit, create photographic illustrations, and graphically design an entire document themselves in Adobe Creative Suite. 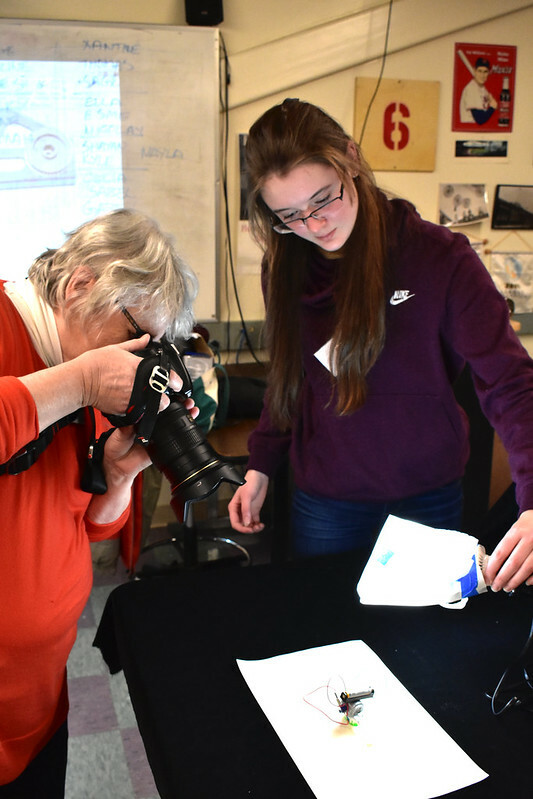 Our new photography mentor and several students whose main interest at LigerBots is to document the team have kept us well supplied with pictures of our many activities. Please visit our Flickr page to see their work on display! The LigerBots have many technical training projects in full swing now. 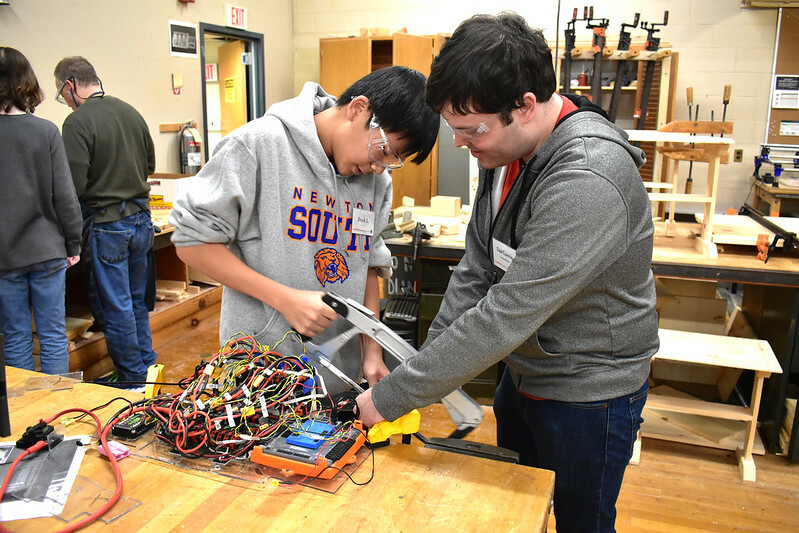 We have two fully-functioning FIRST Tech Challenge (FTC) robots, outfitted with two different drive trains (tank and x-drive) and programmed with student-written software. We might add an arm to one of them, and are almost ready to take the other one apart and let a new group of students build it again. 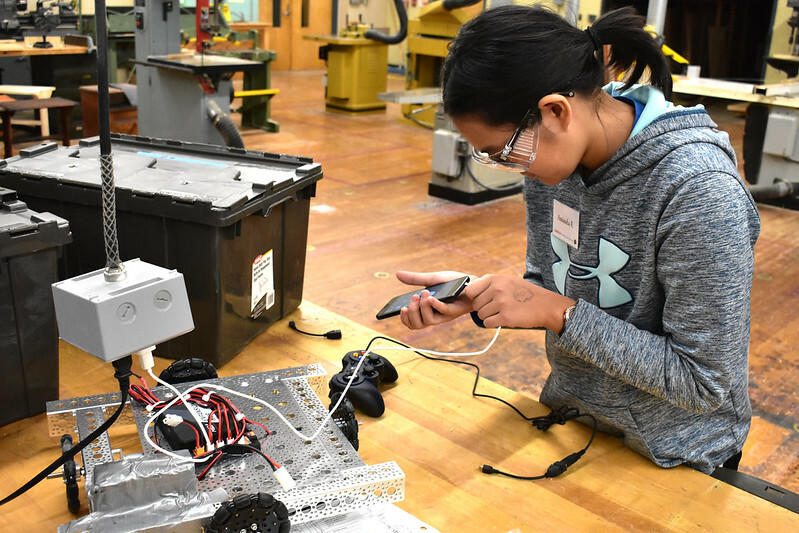 Our students are exploring different combinations of wheel size, number of motors and gear ratios to achieve either power or speed, so that we’ll be ready no matter what the 2019 game requires. 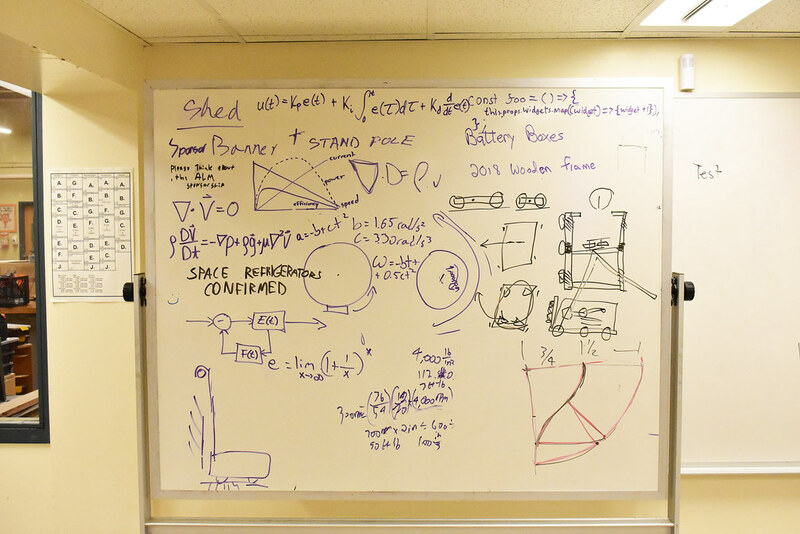 We also started researching and sketching turret designs that might be added to 2016 robot we use for outreach. A group of students is learning to sew by creating new bumper covers for the 2016 robot in team colors of orange and blue. 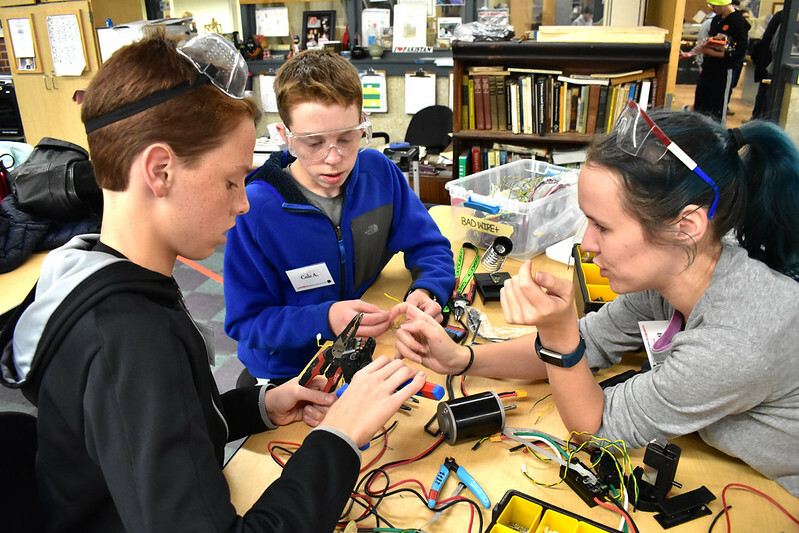 Our electrical group continues to learn crimping and soldering and will likely rewire last year’s robot as a learning exercise. 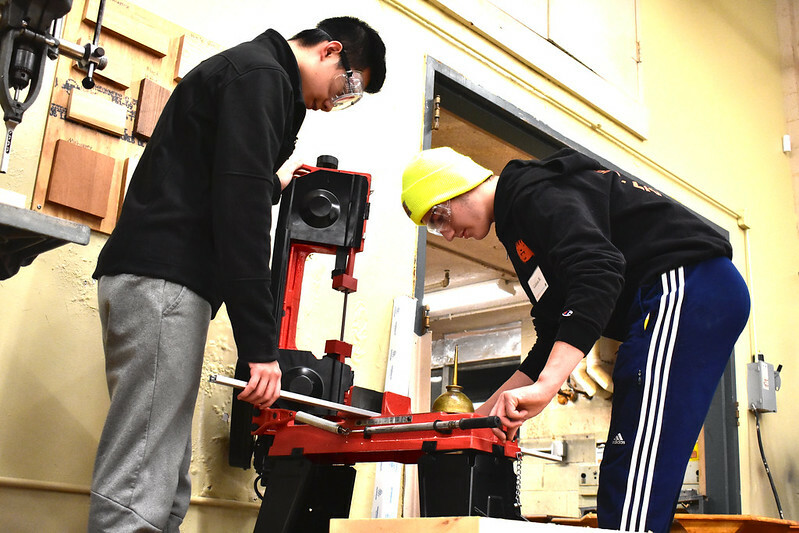 We are also testing different ways to use our manual mill to manufacture metal parts with tight tolerances, and increasing our team members’ manufacturing skills. 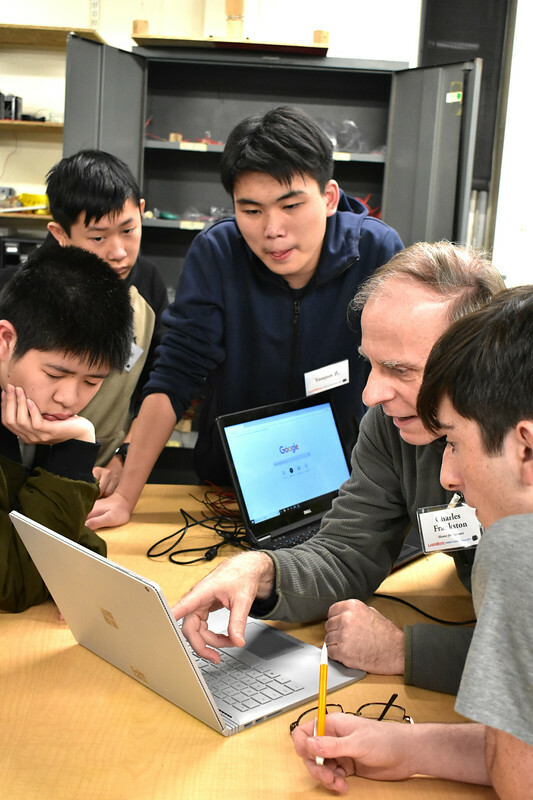 In our H-Drive project our rookies are learning basics of chassis design, and in programing they are learning about the standard code library used by FRC teams. We recently ran three introductory courses in computer aided design (CAD) and computer aided manufacturing (CAM). 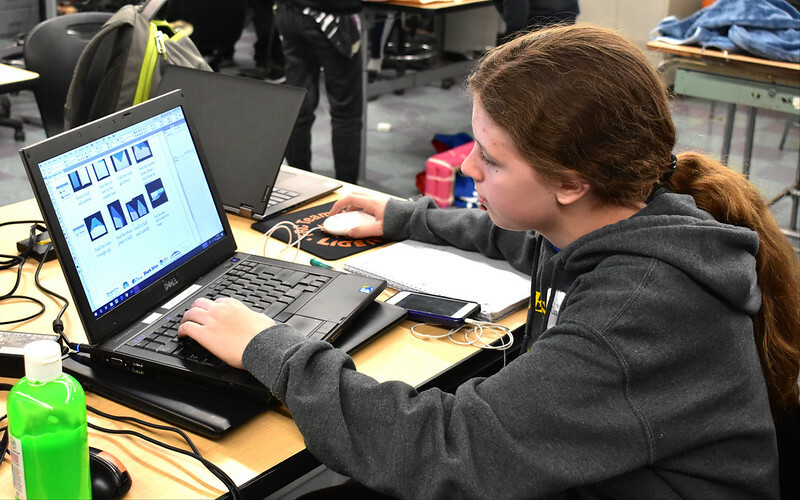 Now, students are continuing to learn them on their own from on-line tutorials so that they will be ready to CAD and CAM the robot quickly during build season. And, more training sessions are planned during the coming weeks: elevator speech building and peanut butter and jelly robot. We hope to be more ready than we ever have been for the fast approaching build season!